Last week I was writing about how cheap chicken livers are, so this week as a contrast I decided to blow the budget and put pen to paper (well fingers to laptop) and talk about lobster. I bought a fresh lobster for a fiver (£5) in Billingsgate market. We had so much fish and seafood that we popped the lobster into a freezer bag and stuck him whole in the freezer. 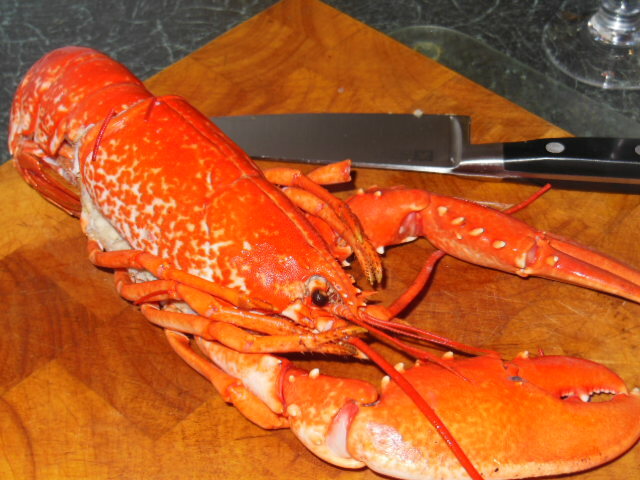 So after carefully defrosting, the question was – what to do with the lobster? So we decided on a lobster and prawn rice – kind of a cheat’s risotto or paella. Fry the onions and 3-4 cloves of the garlic in 1 tablespoon of olive oil in a wide frying pan. Once the onion begins to soften, add 1 mug (none of that American ‘cup’ measure here – I mean a mug full) of rice. You can use posh Spanish paella rice or Italian risotto rice but I like the Turkish Tosya Pirinc rice which is very similar, except that it is about £5 for a 5kg sack from the Turkish supermarkets in Walthamstow. 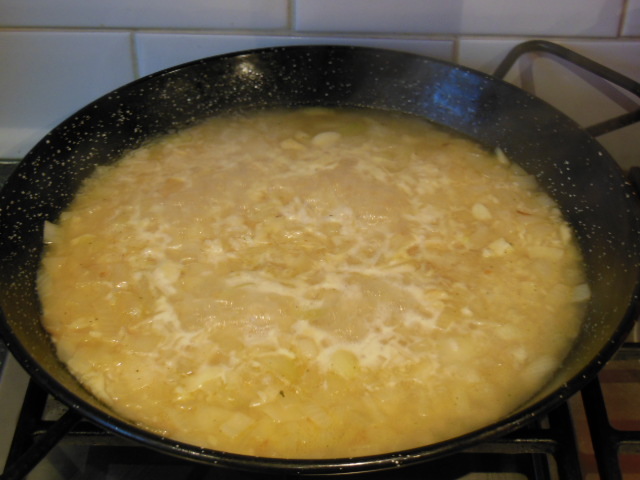 Quickly fry the rice with the onion and garlic mix, then add 2 ½ mugs of veggie stock and the white wine. Bring to the boil and then reduce to a simmer. While the rice is cooking, pan fry the prawns in a separate pan with the remainder of the garlic and olive oil. After about 10 minutes, add the prawns and the lobster tail and claws to the rice. Cover the pan and continue to simmer until the rice is fully cooked and the seafood is hot throughout. Add the chopped coriander, a sprinkle of chilli flakes and a squeeze of lemon and serve immediately. We devoured this straight from the pan with a chilled glass of white wine. It was a lovely luxury on a Sunday afternoon! 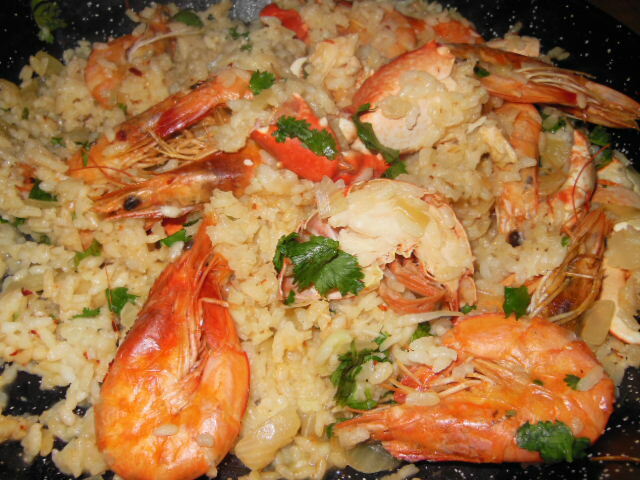 This entry was posted in Product of the week, Recipes and tagged Garlic, Lobster, Prawn, Rice. Bookmark the permalink.